Emancipator (Doug Appling) sold out over 21 headlining shows in 2012, including venues like San Francisco’s Mezzanine, NYC’s Highline Ballroom, and Denver’s Ogden Theater, was praised by The New York Times and toured with Pretty Lights. 2013 sees the release of his third album ‘Dusk To Dawn’ and a 44 date North American tour kicking off this month. Blending lush, warm, organic electronic sounds, with hip-hop and classical Americana, the classically-trained Emancipator creates a natural mix of beats and melody that is all his own. On-stage, Appling performs with the violinist Ilya Goldberg, creating a dynamic and captivating live show that reinforces the fusion at the heart of Emancipator’s music. His previous two albums ‘Soon It Will Be Cold Enough’ and ‘Safe In The Steep Cliffs’ showcased the luxuriant blend of instrumentation and drums that his fan-base has come to love. 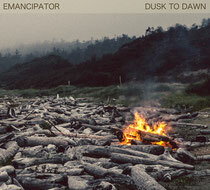 ‘Minor Cause’, and ‘Dusk To Dawn’, continue where Emancipator left off. Throughout, Appling’s beats and piano draw you forward, before Goldberg’s beautiful strings are introduced, raising the urgency and bringing the track to its crescendo. The track will be accompanied by a music video shot in the breathtaking Oregon forest, Appling’s home state, directed by adventure photographer, Ben Moon. ‘Dusk To Dawn’ will be released on Loci Records on January 29. ‘Minor Cause’ was released this week.